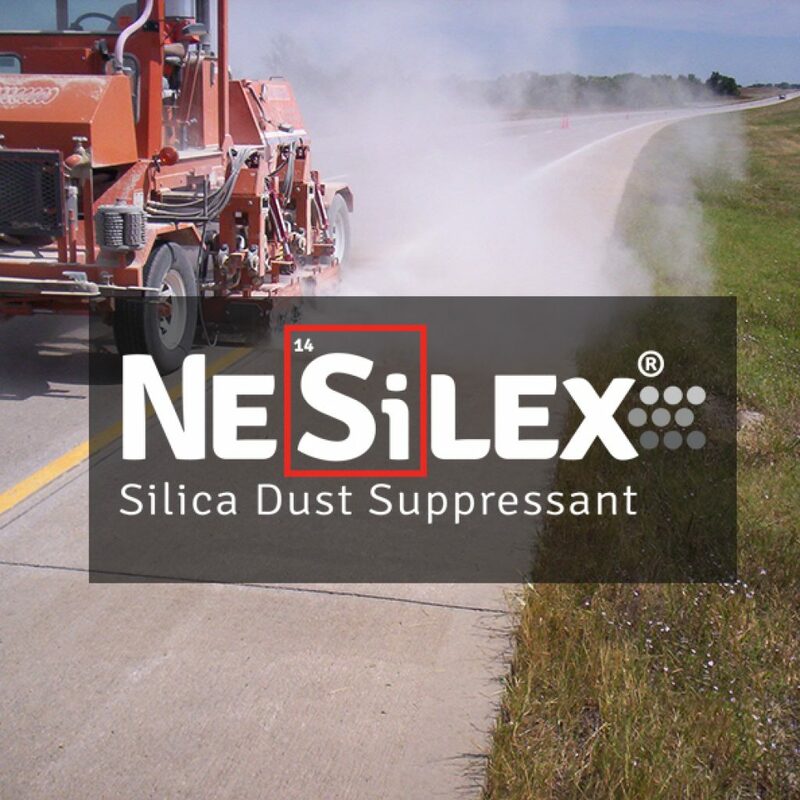 On August 1 Broce Manufacturing and Chemtek finalized a partnership to provide dealers and rental agencies with machines set up to suppress silica dust on job sites using their product NeSilex. 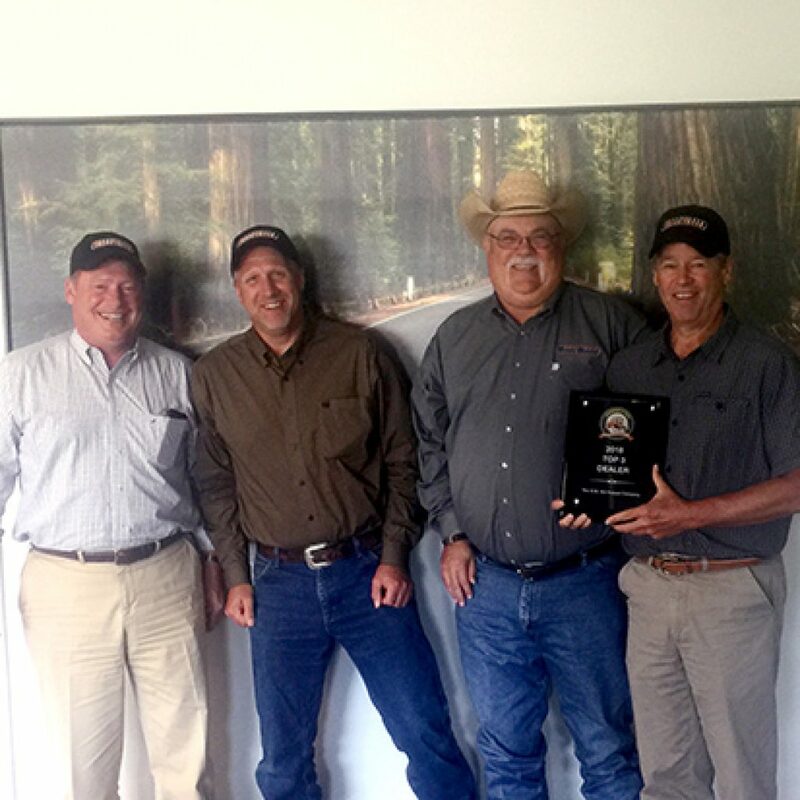 Van Keppel has been a Broce dealer for 40+ years. 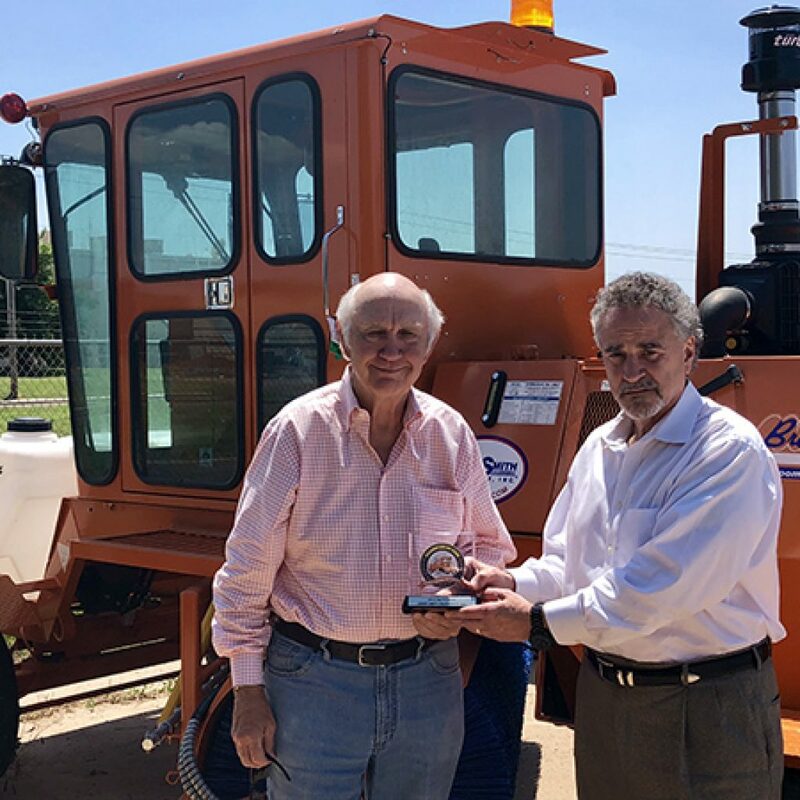 Both companies are Kansas based and have had a long term partnership. 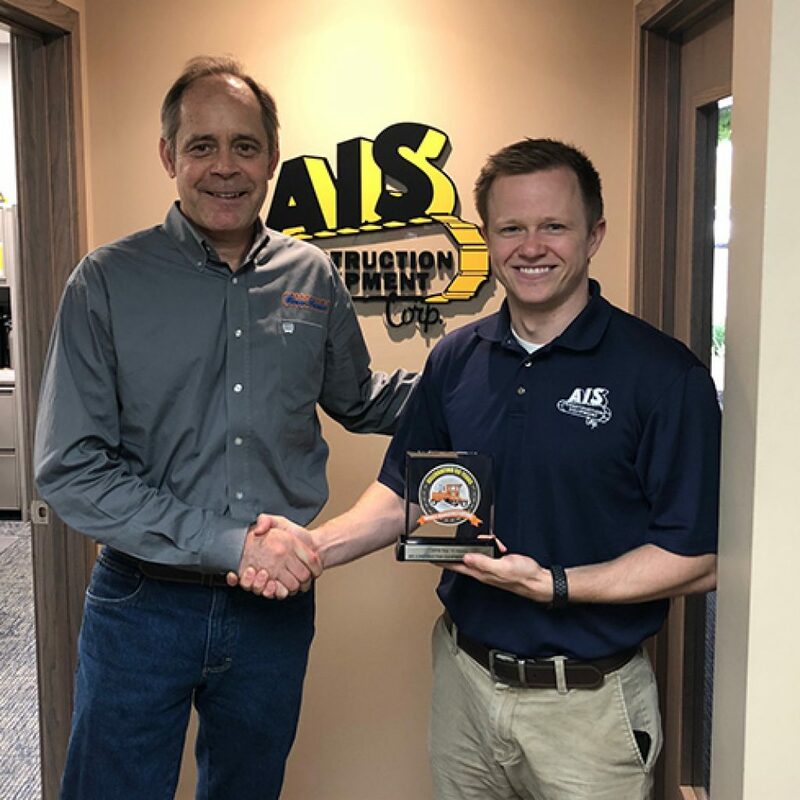 Broce Broom recognizing AIS Equipment as a top 10 dealer of our construction sweepers. 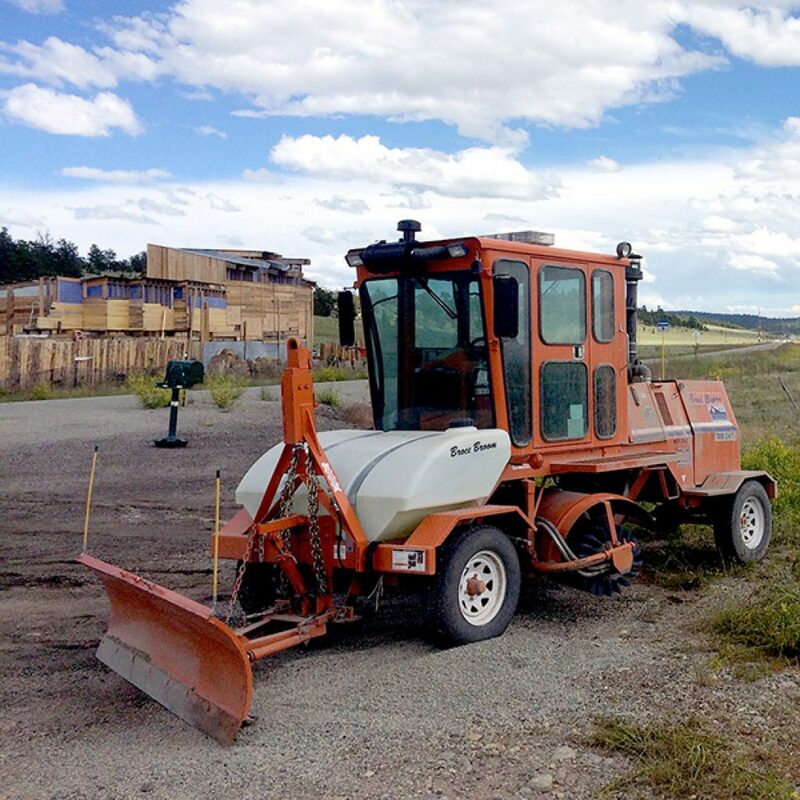 Broce Manufacturing would like to recognize Power Equipment Company out of Colorado as one of our top 10 dealers. 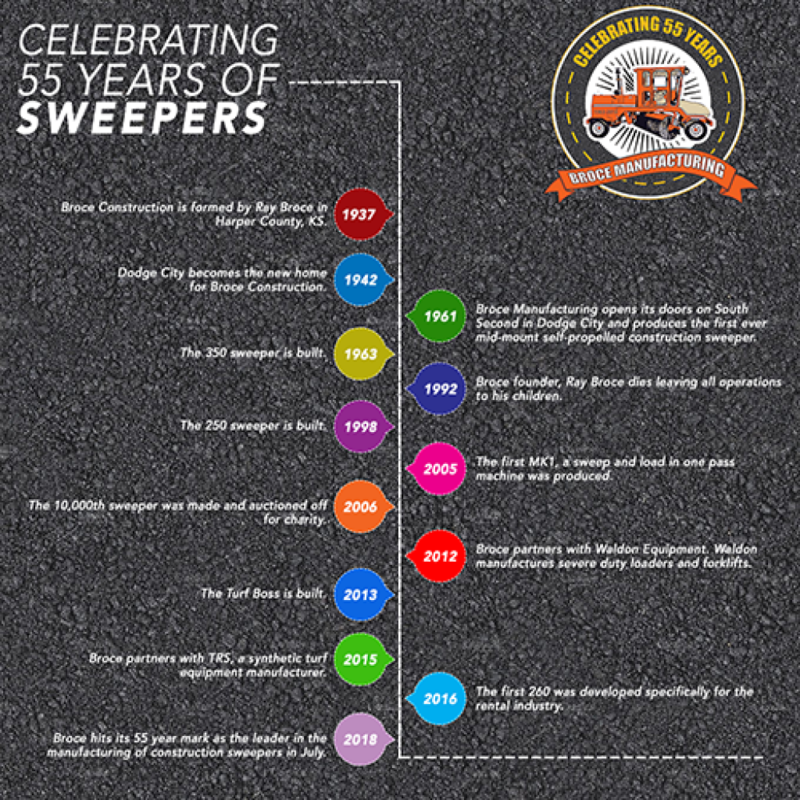 Broce Broom has over 55 years in the sweeper and construction broom business. The infographic shown demonstrates the historical timeline of their success. 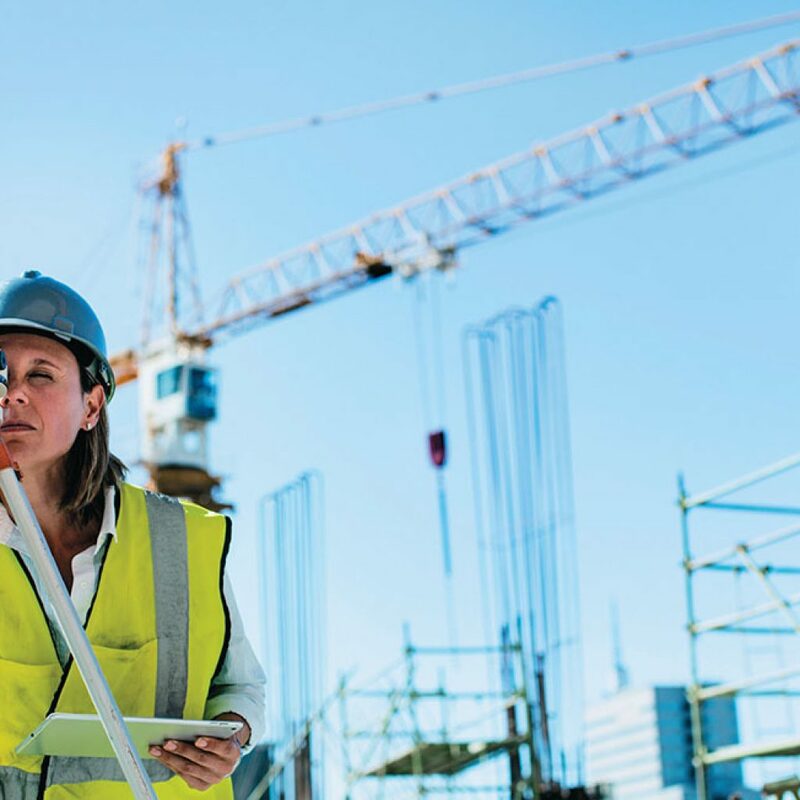 The Department of Labor has indicated that the number of women employed in the U.S. Construction industry grew by 81% from 1985 to 2007. 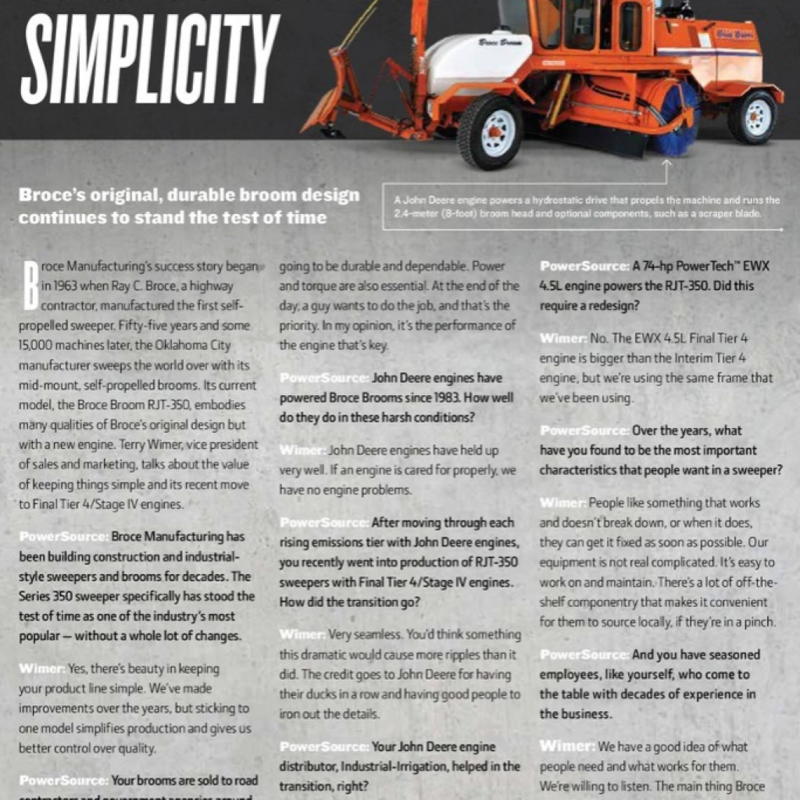 Broce VP of Sales, Terry Wimer, was recently interviewed by the writers at John Deere’s PowerSource about our experience with their Final Tier 4 / Stage IV engine. 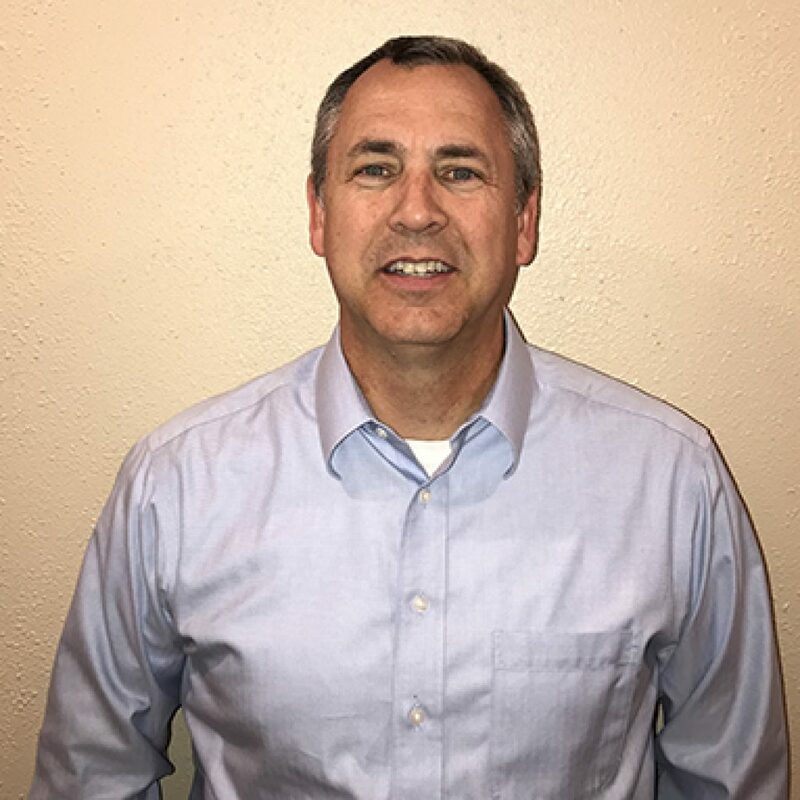 Dodge City, KS – Broce Broom of Dodge City, KS announced today that Mark Chalfant will be joining the team as their new Chief Operating Officer effective November 20th. 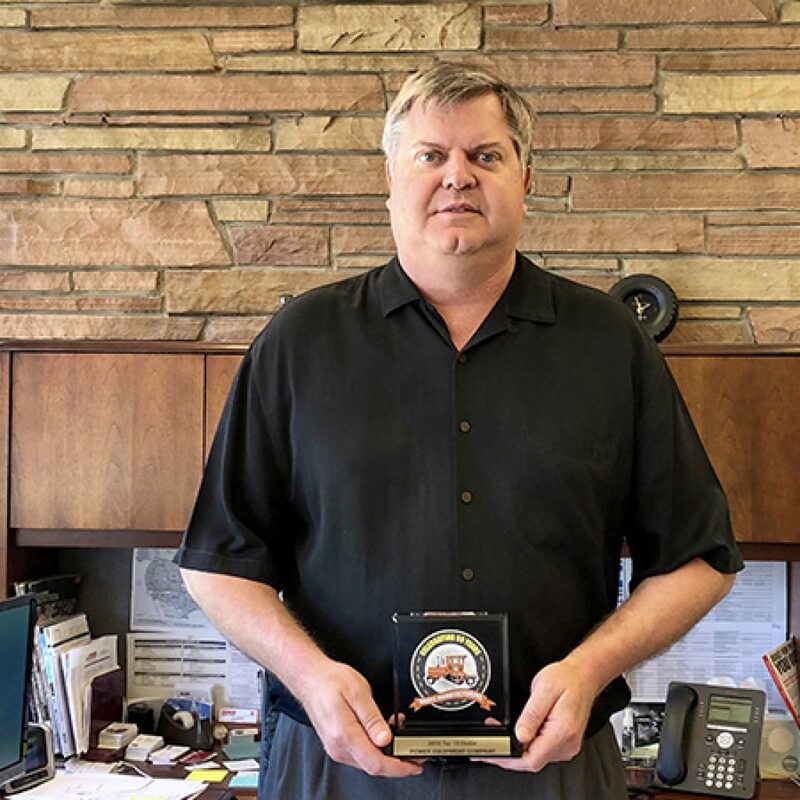 Chalfant, formerly CEO of Mid-America Manufacturing Technology (MAMTC), has over 30 years of experience in the manufacturing industry. Before Broce Broom there was Broce Construction. 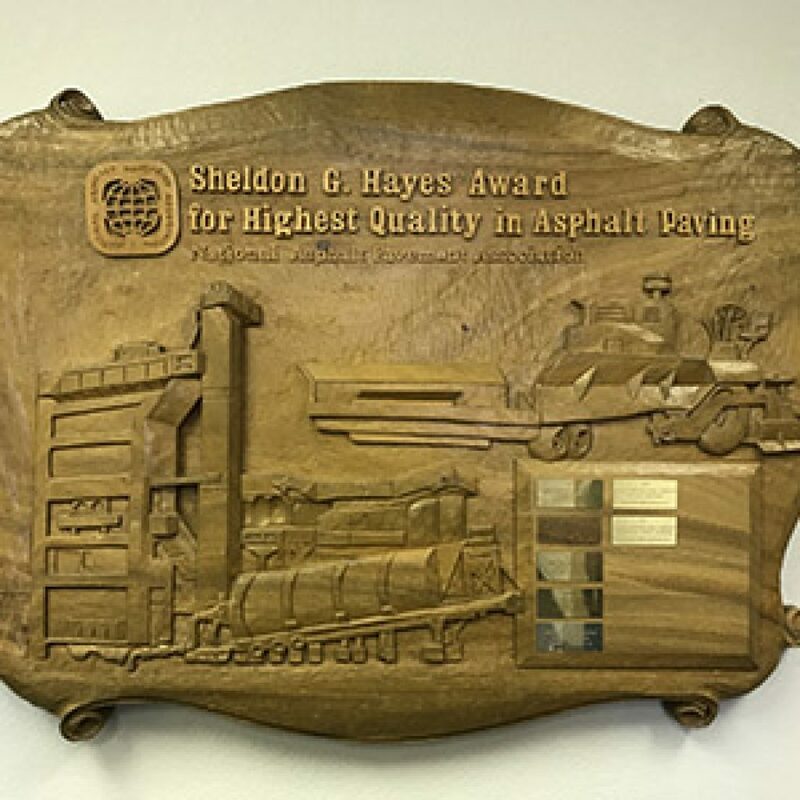 They received the Sheldon G Hayes award through NAPA many times through the years between 1973-1999. 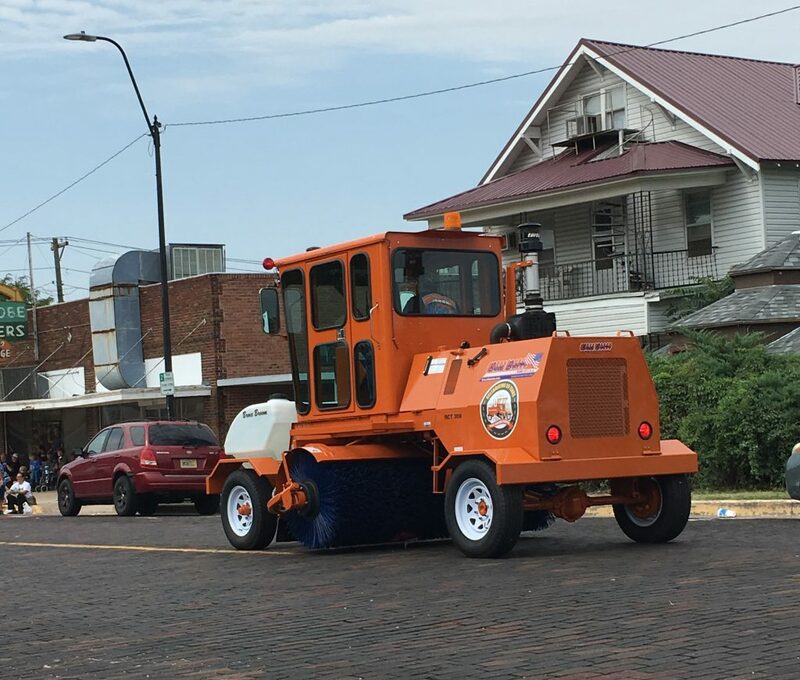 In a step toward providing a safer, cleaner working environment, Broce Manufacturing is introducing an optional fully enclosed cab for its 3-wheeled BW260 sweeper. 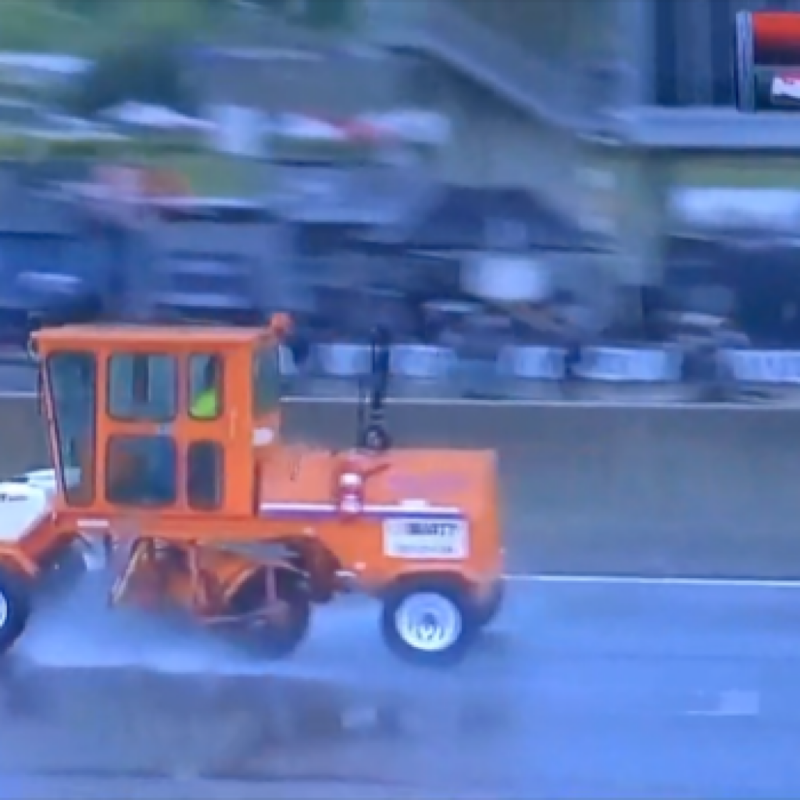 Broce Manufacturing is now offering a Tier 4 Final Cummins engine in the RCT350 Broce Broom. 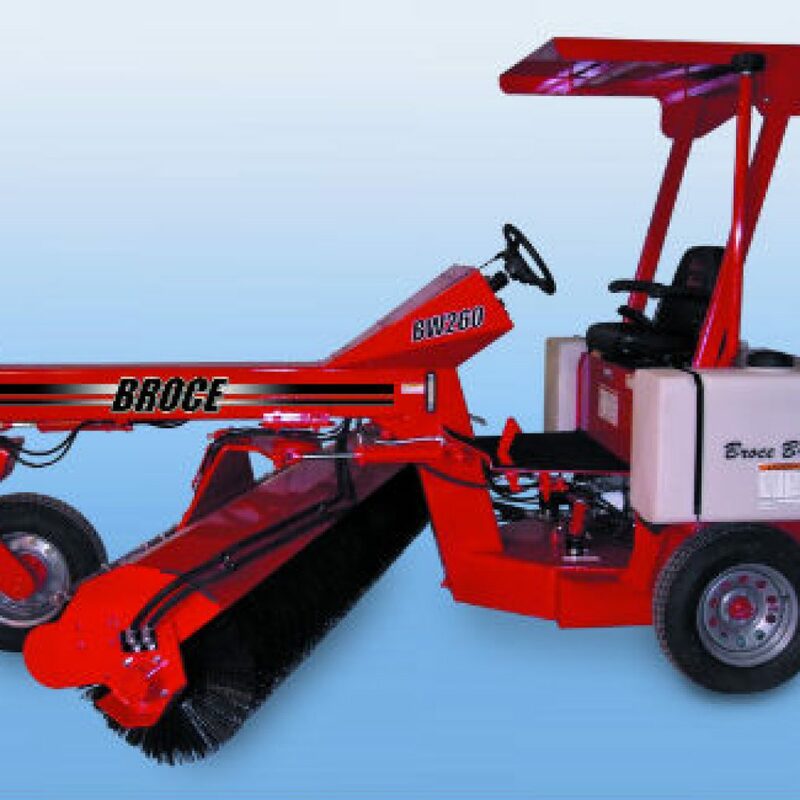 Introducing the newest Broce Broom! 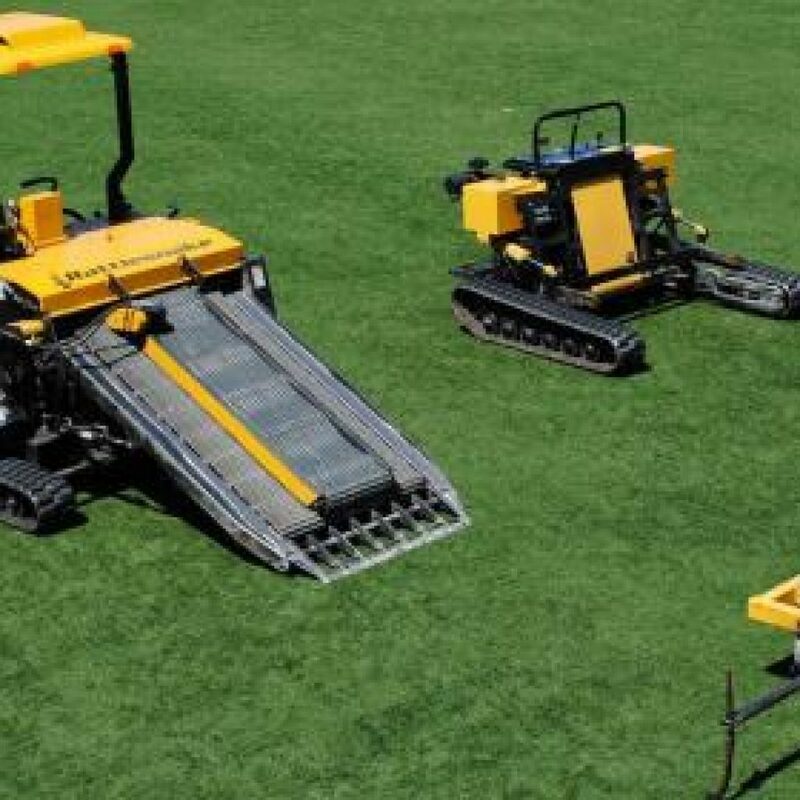 Broce Manufacturing recently released an all new, industry specific sweeper, designed for artificial turf installation and maintenance. 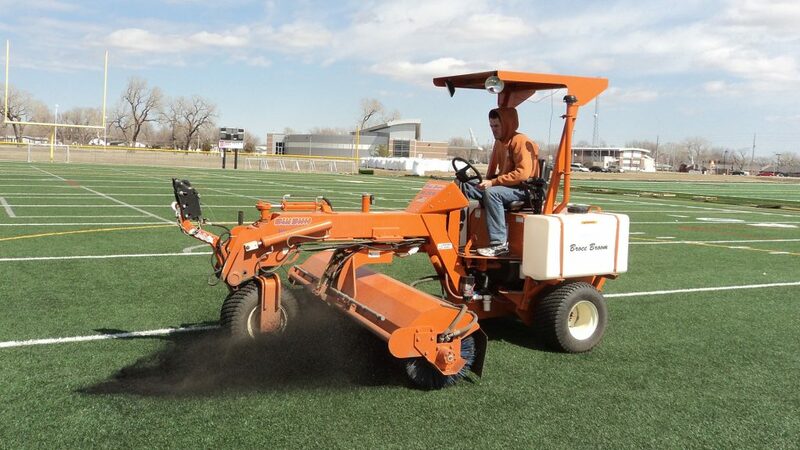 With features like wide turf tires to displace its weight, and supercharged engine cooling system, it’s no wonder that the Turf Boss has already been featured in magazines School Construction News Online and Sports Turf Online. 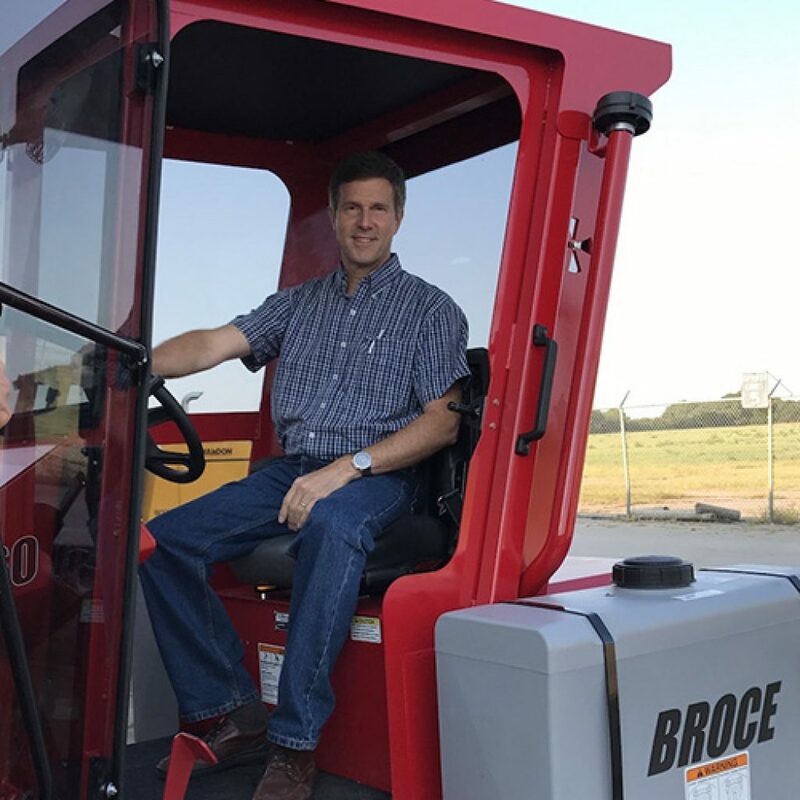 Broce Manufacturing Co has joined forces with Waldon Equipment, LLC to offer additional lines of equipment.